I'm not too fond of the introductions of formats either. Well rather I think it's not the right time for it, hearthstone does not have the breadth or variety avaliable to it yet where branching it off in formats makes sense to me. When Magic does it it works because MTG has thousands of cards and each season releases about the number of cards Hearthstone has in total right now. The ladder is already very samey, you continously run into the same 3-4 decks. Take Naxx and GVG out and things are going to get really limited. 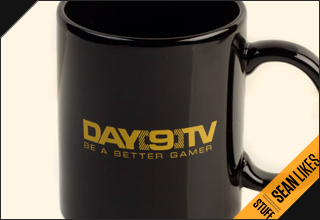 On the other hand a point day9 made about the future of the game. In order for it to continue being ran, developed and supported they need people to keep buying cards. So they will keep releasing cards and you have 2 basic ways to make people want to buy cards. Either you make them more powerful and ruin the game with power creep. Or you essentially take cards away from your players and tell them they can't use them anymore and have to buy the new ones. The reason I stopped playing MTG was because they pretty much did both. The modern set of cards are way overpowered compared to the 90s decks I still have. I can't play with my collection of magic cards right now not just because they don't belong in the right format but they simply can't compare in power. I suspect this is going to end up being the case with my hearthstone cards aswell eventually. But reality is if you want to keep playing Hearthstone you're probably going to have to look into putting $50-100 a year into it, maybe more if they increase the ammount of cards released. Back to my main problem though, variety. Hearthstone just simply does not have it and if they continue releaseing expansions in the fashion they have so far a 2 year cycle seems far too short. This could possibly have seen a better idea to me if they did it next year and used a 3 year cycle.